There are multiple ways to bypass the Chinese Firewall, using VPN, anonymous browsers or Tor. But I prefer to use the most simple way, which for me is using an ssh tunnel. Luckily, with SOCKS5 Firefox can control which side of the proxy handles DNS lookups. By default, it does the lookups locally resulting in the scenario above. To change this, set network.proxy.socks_remote_dns = true in about:config. This makes the SOCKS proxy more like a regular proxy, where DNS is handled by the remote end of the tunnel. … or one can install iodine and tunnel all DNS requests accordingly. 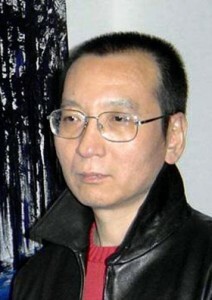 The 2010 Nobel Peace Price 2010 goes to human rights activist and non violence advocate Liu Xiaobo. Here is a montage of the todays debate of the 7th session in the United Nations Human Rights Council that has taken place in Geneva, Switzerland. 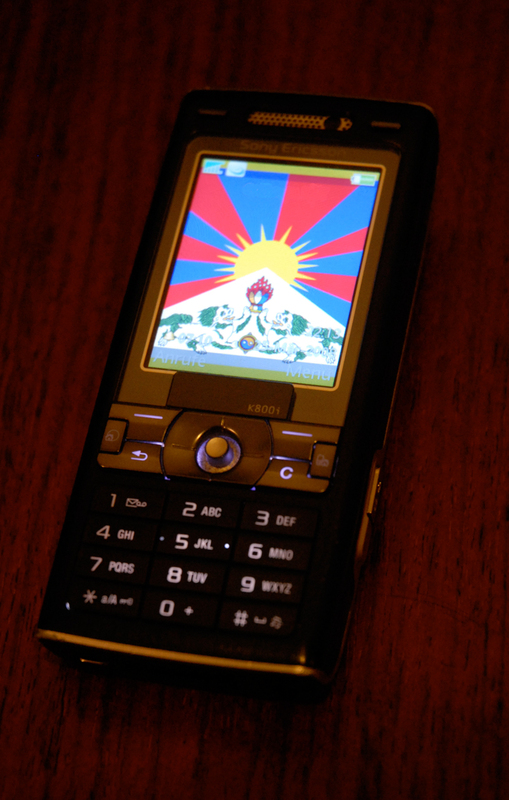 Wanna put the Tibetan Flag on your Cellphone? Here is an image in the right size for Ericsson Cellphones. (The image is licensed under the Wikipedia Gnu general public license. This means it’s Free, like “Free Tibet”). Get the original File here (for other Cellphones). During an interview a journalist from TSR (Télévision suisse romande) has been attacked by chinese guards in front of the chinese represantation headquarters in Geneva, Switzerland. A similar incindent has taken place last week in front of the chinese embassy in Bern, Switzerland. “The Washington Post” and “der Standard” have reported today, that chinese hackers have tried to break into tibetan activist organisations networks and computers to steal encryption keys. Encryption keys are used to sign and encrypt electronic messages like E-Mails. China operates the world’s largest and most restrictive “Firewall” to censor internet communication and obscure information. Further it is known that in China a certain hacker group called “Titan Rain”, that is most probably financed and supported by the chinese government has been attacking the Pentagon and the german “chancelor house. 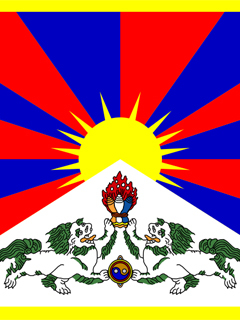 Many tibetan organisations and activists notice a higher amount on suspect trojans and viruses. But thanks to the operation of Free Software such as the GNU/Linux operation system and Free Sowftware applications, such as GnuPG for encryption and the Tor Project for anonymous internet, the damage has been kept low. I urge tibetan activists, journalists and news reporters to use encryption technology to secure and assure internet communication. To bypass the chinese firewall (e.g. to access the internet from Lhasa) it is most advisable to use Tor or similar anonymiser software. (see my blog post from the 18th of march 2008).